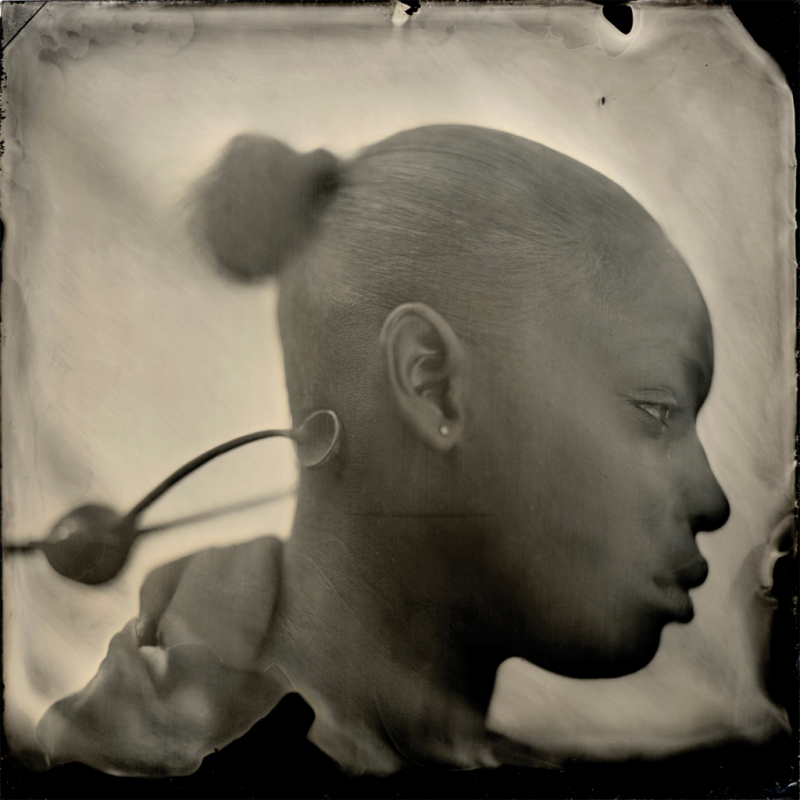 I enjoy the challenge of shooting portraits using the Wet-Plate Collodion process as it can render the most personal insight. You are looking at a glass plate but you are pulled beneath the surface into your subject. I also enjoy faces and am forever curious about people and how they reveal, what they reveal. Faces are part revelation, part design, part real, part abstraction. Each face is different just as each exposed plate of glass is unique. Nothing is the same. Just like life. Just as all art should be. Ken Merfeld loves to see what he has never seen before; appreciates the bent, broken, life on the edge, and imperfection; believes that the exchange of energy is most important in life and critical in art; lives for light, strong images, emotional response, and a different point of view; is an aficionado of photo history and the black & white darkroom; will go to a five-star restaurant but prefers Mexican food; loves to laugh; and loves to create images more than anything.